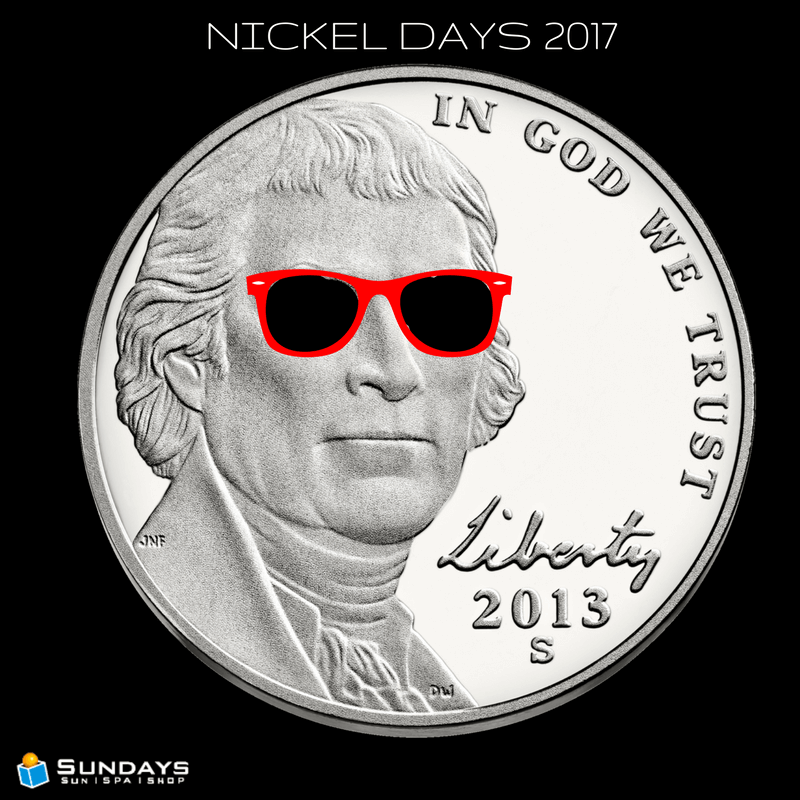 We know today everybody will be going around saying, “May the Fourth be with you,” but over here it’s time for one of our biggest sales: NICKEL DAYS! Starting May 4th through the 12th, you can save big at all 20 Sundays Sun Spa Shop locations in Hampton Roads. Stock up on nickels, because you’re sure to spend them. So, what does five cents get you during this amazing sale? Buy any membership package for one year, and add a second year for a nickel. Buy any Blue Bucks/Spa Bucks package, double the amount for a nickel more. Buy any airbrush tanning or spa package, double the sessions for a nickel more. Buy any tanning lotion at regular price, get a second bottle of equal/lesser value for a nickel. Buy any item of clothing at regular price, get a second item of equal/lesser value for a nickel. Non-members can tan free in a Level One bed during Nickel Days for only five cents! Win a Free Trip to the Bahamas! Bring a friend and use your Buddy Pass on MAY 5th at any Sundays location, and you’ll both be entered to win a trip to the Bahamas. Visit any of our salons for rules and details. Club discounts do not apply with any of the above specials. Hope to see you soon!